The blooming flowers attract plenty of colorful butterflies to drink the flowers’ sweet nectar. 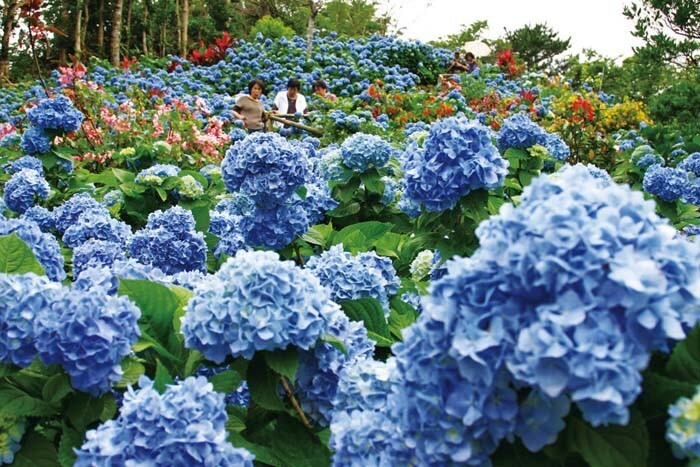 Thousands of the brilliantly colored hydrangea flowers are blooming every year marking the start of the summer on a 9,900-square-meter farm in Izumi, Motobu that once produced tangerine trees. The flowers are in bloom through the end of June inviting visitors to Ajisai-en farm that is the life’s work of 98-year-old Uto Yohena. Yohena has worked on her purple flowers at Ajisai-en for almost four decades. “My garden was actually a tangerine field until about 35 years ago,” she says, noting “I love flowers so I planted the hydrangea flower garden along the paths between the tangerine trees.” Eventually, the flowers took over from the tangerine trees as the garden grew. Visitors walk among the 9,000 plus hydrangea flowers along prepared paths thet criss-cross the Ajisai Garden. 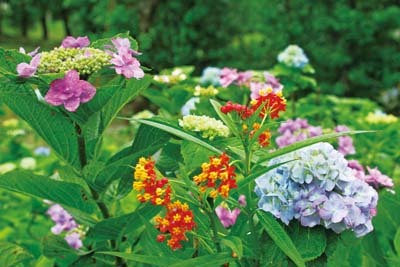 There are spots of other colorful flowers among the 78 varieties of hydrangea that give the garden extra color. There are now more than 9,000 hydrangea in the park with a total of 78 species or varieties of the flower. 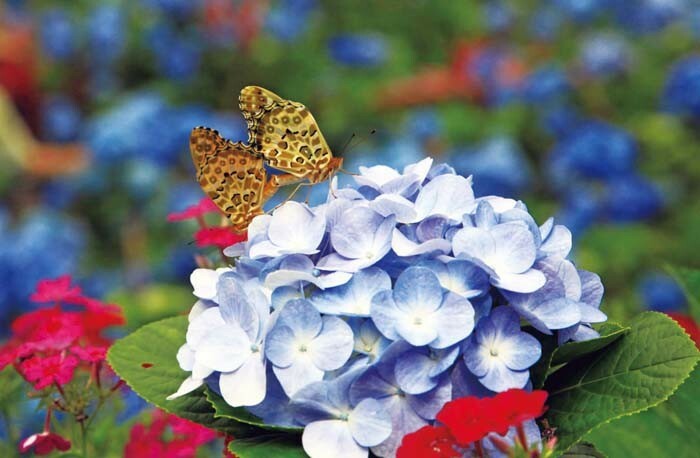 Her garden is a member of the nationwide Hydrangea Flower Association, and won the sixth best prize in the West District Japan Hydrangea Garden Contest a few years ago. 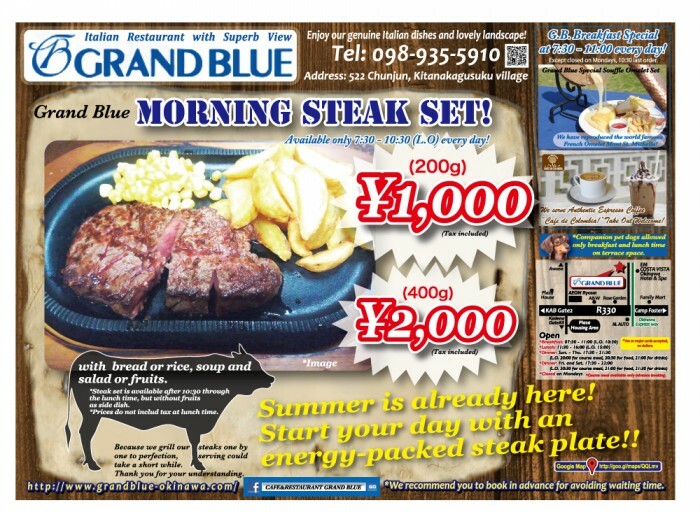 People driving by on their way to Expo Park in Motobu are invited to drop by and visit. The garden is open most days, and the admission is a modest ¥400 for adults and ¥200 for children ages 6~18. Yohena says that although the garden is a labor of love for her, she had to begin asking visitors to pay an entrance fee 14 years ago, because operating the garden required a lot of upkeep and maintenance, and that means expenses. Free parking is available just outside the gardens. To reach Ajisai-en, drive north past central Nago on Highway 58, turn left toward Motobu and Ocean Expo Park on Route 84, and continue until you see a Eneos gasoline station on the right and a police box on the left. Turn immediately left, and Ajisai-en is on the left about 200 meters up the road.